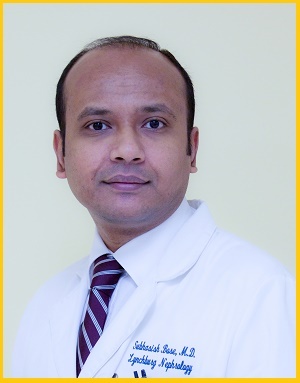 Doctor Ashraf graduated from the prestigious Dhaka Medical College in Bangladesh before completing his residency at the State University of New York. He then went on to complete a fellowship at the Medical College of Pennsylvania and Hahnemann University. Doctor Ashraf is Board Certified in Internal Medicine and Nephrology. He is a Fellow of the American College of Physicians and the American Society of Nephrology. He is also a Clinical Assistant Professor at the University of Virginia Department of Medicine. Doctor Ehtesham graduated from the prestigious Dow Medical College in Karachi, Pakistan before completing his residency at the University of Virginia. He then went on to complete a fellowship at the Stanford University School of Medicine. 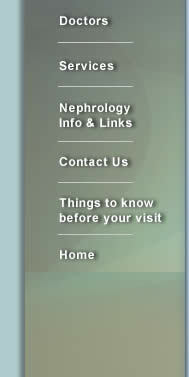 Doctor Ehtesham is Board Certified in Internal Medicine and Nephrology. 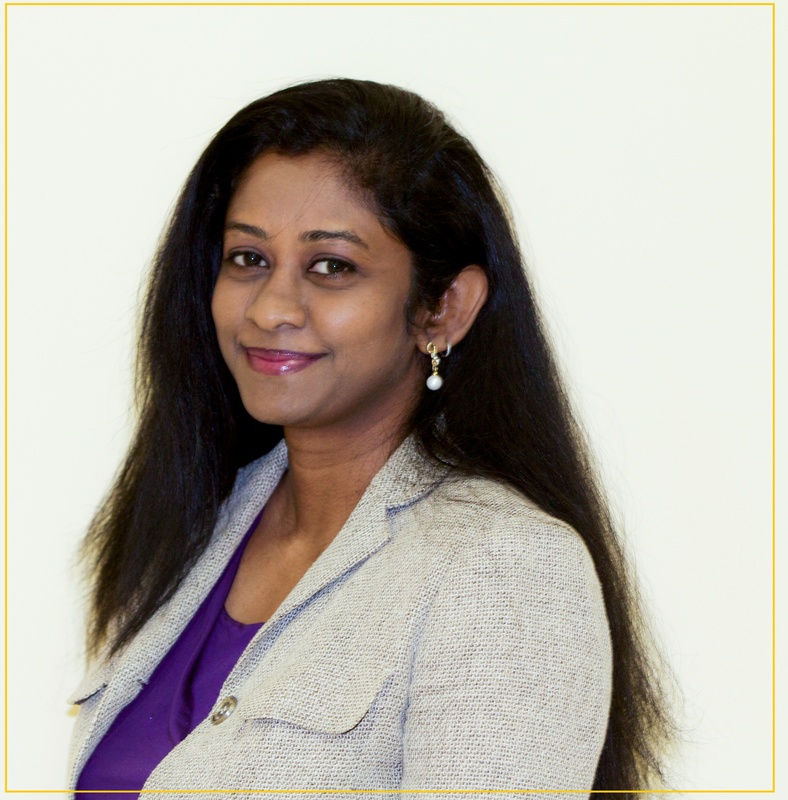 Dr. Ehtesham is a fellow of the American College of Physicians and the American Society of Nephrology, as well as a Clinical Assistant Professor at the University of Virginia Department of Medicine. 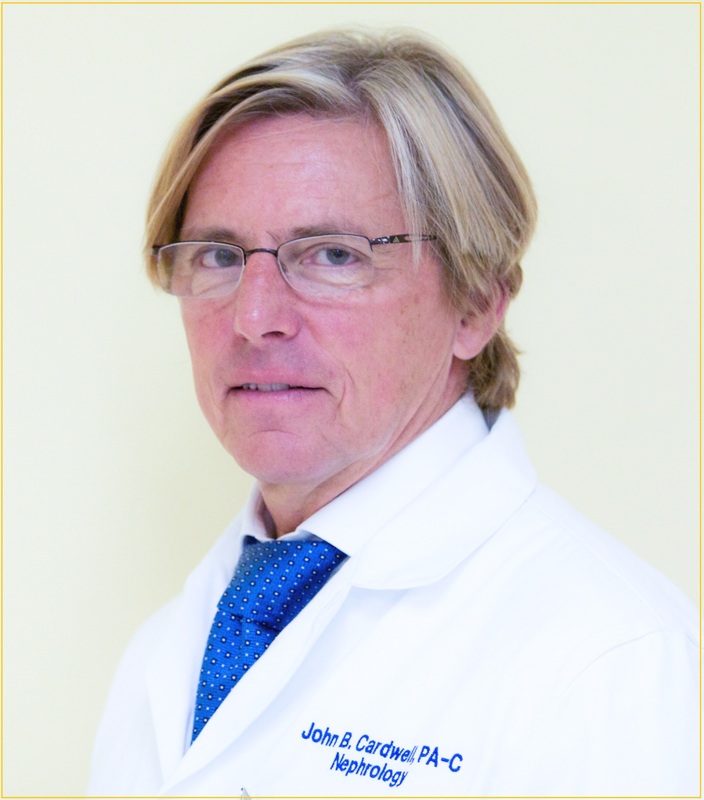 He is also Medical Director of UVA Lynchburg Hemodialysis unit and the managing partner of the practice. Clinical interest: Acute Renal Failure, Chronic Kidney Disease, Renal Transplantation and Stone Disease. Dr. Awuah completed his Internship and Residency at Yale new Haven Medical Center, Saint Rafael Campus. He is board certified in Internal Medicine and Nephrology. He is a fellow of the American College of Physicians and the American Society of Nephrology. 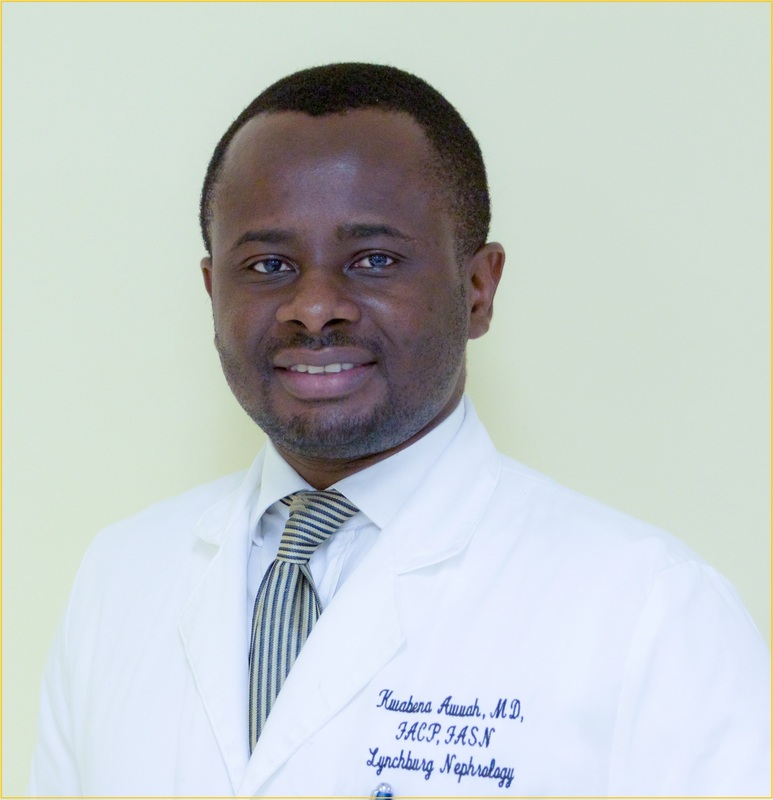 Dr. Awuah completed his Nephrology Fellowship at Yale New Haven Hospital. 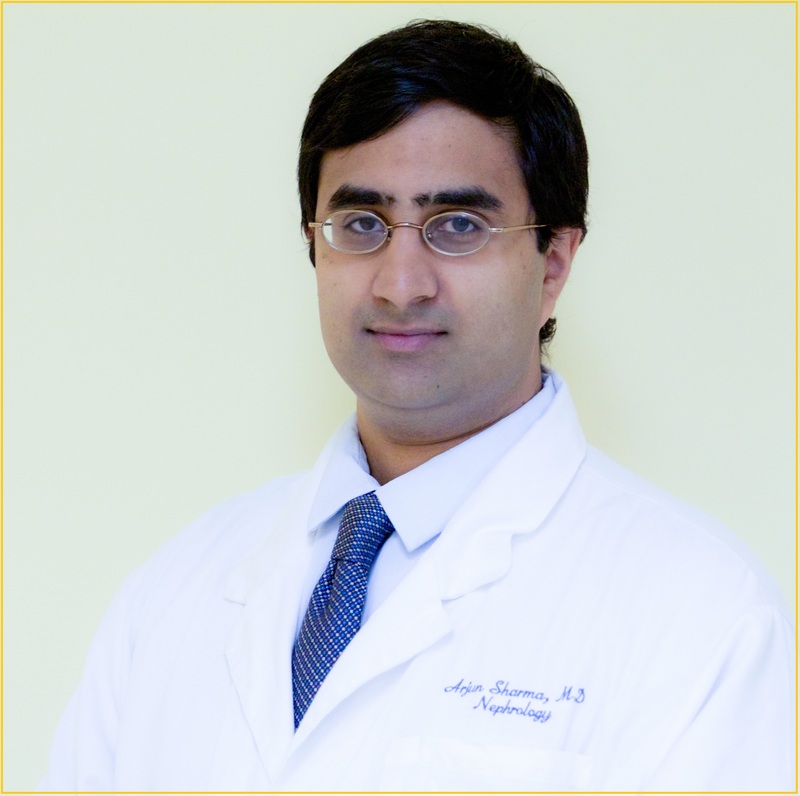 Dr. Bose completed his Internship and Residency in Internal Medicine at The Pennsylvania Hospital, University of Pennsylvania Health System in Philadelphia, PA. Dr. Bose is board certified in Internal Medicine and Nephrology. He is a fellow of the American College of Physicians and the American Society of Nephrology. He completed his Nephrology fellowship at Temple University Hospital in Philadelphia, PA.
Mr. Cardwell recieved his B.S. in Physician Assistant Studies from Lynchburg College before recieving a second B.S. in Physician Assistant Studies from Roanoke's College of Health Sciences. For the past 10 years, he has worked as a Physician Assistant for Lynchburg Nephrology Physicians. He is a member of the Amercian Academy of Physician Assistants, NC Academy of Physician Assistants and the Renal Physician Association. Dr. Govindan is a graduate of Sri Ramachandra Medical College, Chennai-Tamil Nadu, India. She completed her Internal Medicine residency at the University of Connecticut Health Center, Farmington, Connecticut and her Nephrology fellowship at the University of Washington, Seattle, WA. 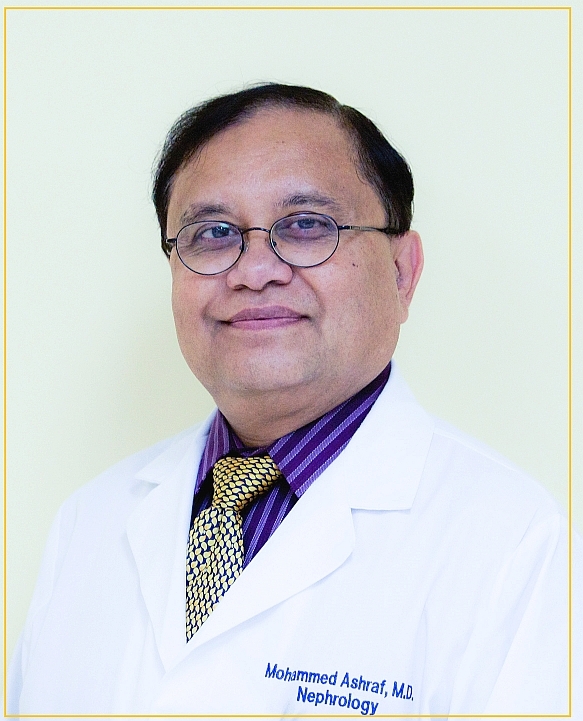 Dr. Govindan is board certified in Internal Medicine. 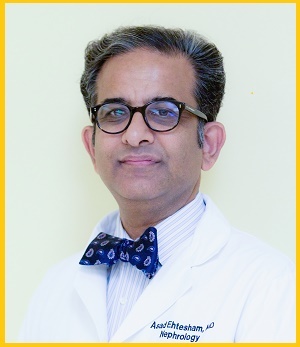 Dr.Sharma is a graduate of the University of Connecticut School of Medicine in Farmington, Connecticut. He completed his Internal MEdicine residency at the University of Connecticut Health Center, Farmington, Connecticut and his Nephrologhy fellowship at the University of Washington, Seattle, Wa. Dr. Sharma is board certified in Internal Medicine. Dr. Kyaw is a graduate of the University of Medicine II Yangon, Myanmar. 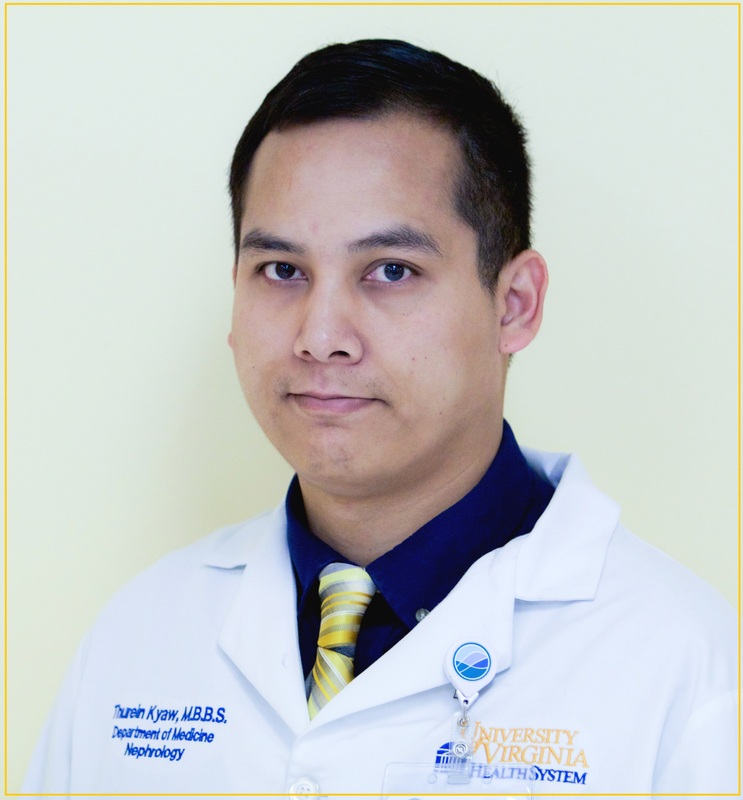 He completed his Internal Medicine residency at the Interfaith Medical Center in Brooklyn, NY and his Nephrology fellowship at the University of Virginia Medical Center in Charlottesville, VA. Dr. Kyaw is board certified in Internal Medicine. Mrs. Smith was awarded her nursing license from the Virginia Baptist Hospital School of Nursing after earning her ANNA and BONENT certifications. She later earned her certification in ACLS and Advanced Cardiac Arrhythmias. 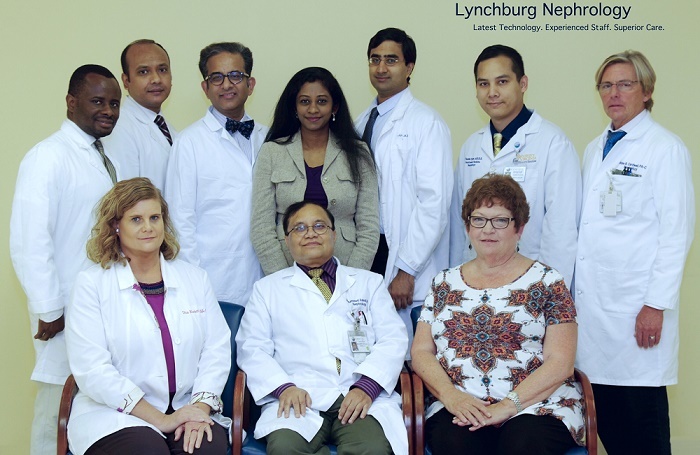 Mrs. Smith has served as the Nursing Administrator for Lynchburg Nephrology Physicians since 2001. Prior to that, she served as the Assistant Education Coordinator, Head Nurse, and finally, R.N. 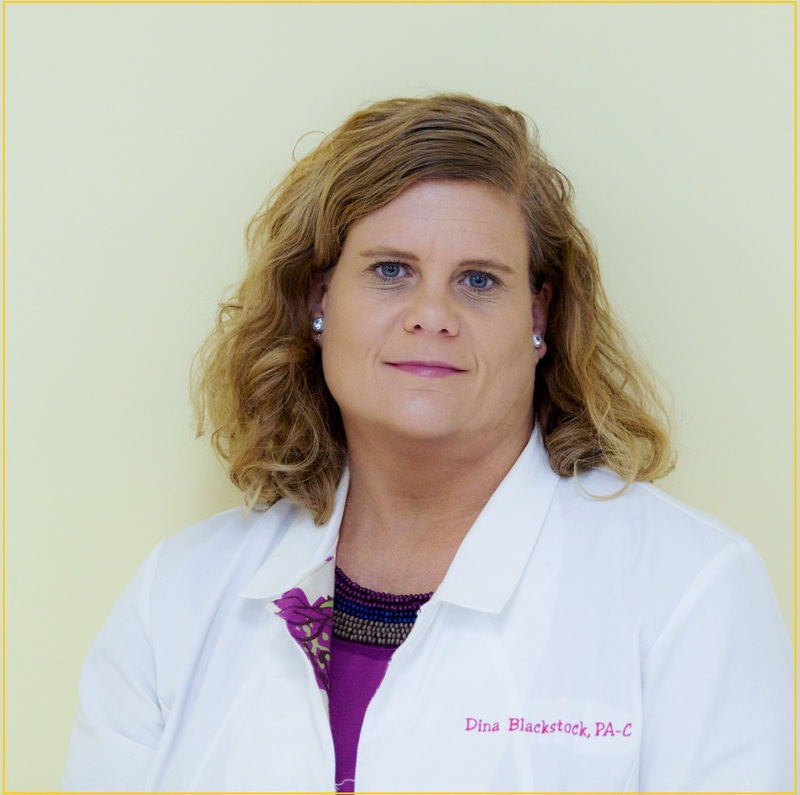 Administrator for Lynchburg Nephrology Dialysis. Mrs. Blackstock received her Bachelor of Sciense Degree from Longwood College in Farmville, Virginia. She is a graduate of the University of Florida where she earned a Masters of Public Health Degree in Public Health Practice and earned her physician assistant certificate at St. Francis College in Loretto, Pennsylvania. She worked as a solo practitioner in a rural clinic before joining Lynchburg Nephrology.